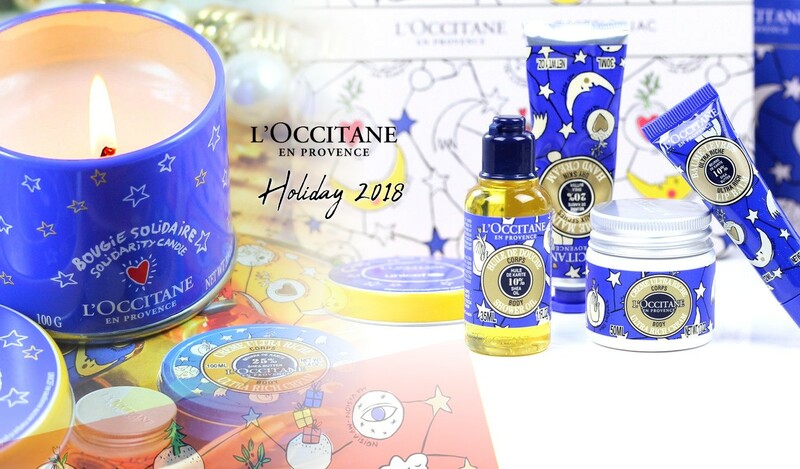 Today I wanted to show some products from the L'Occitane Holiday collection. 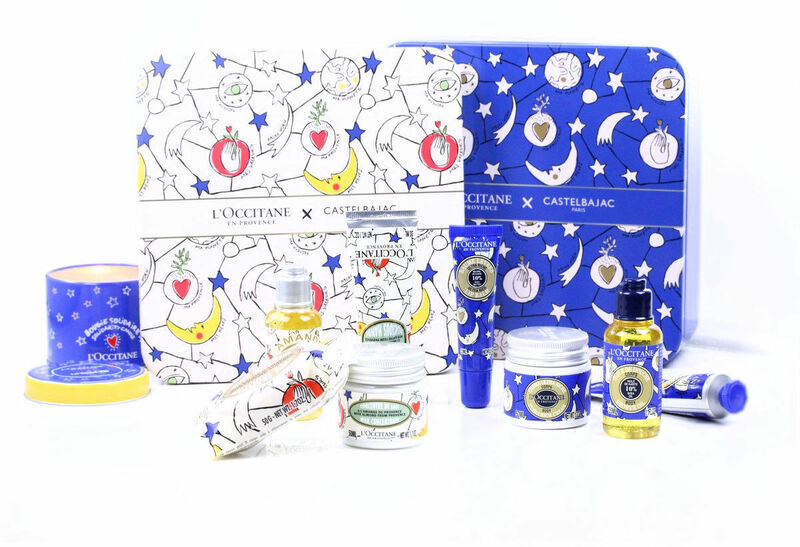 The packaging was designed by JC de Castelbajac and I must say that I'm completely and deeply in love with the design. 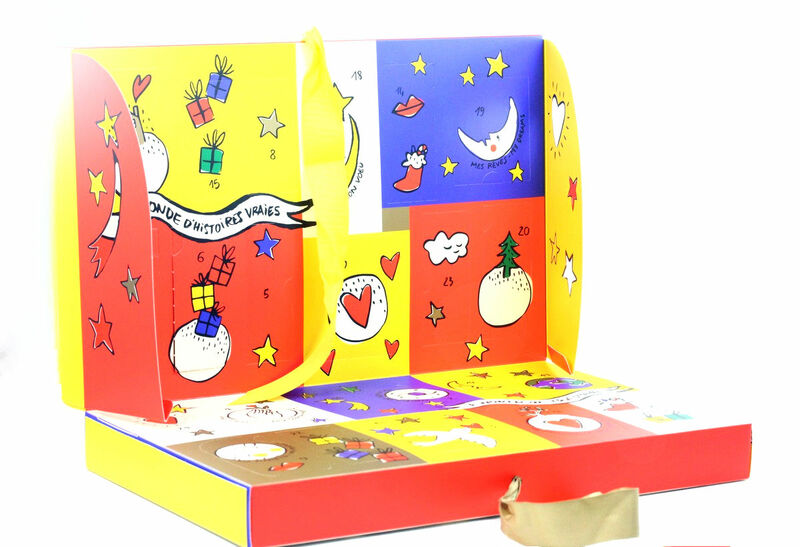 I find it super cute, joyful and very festive! 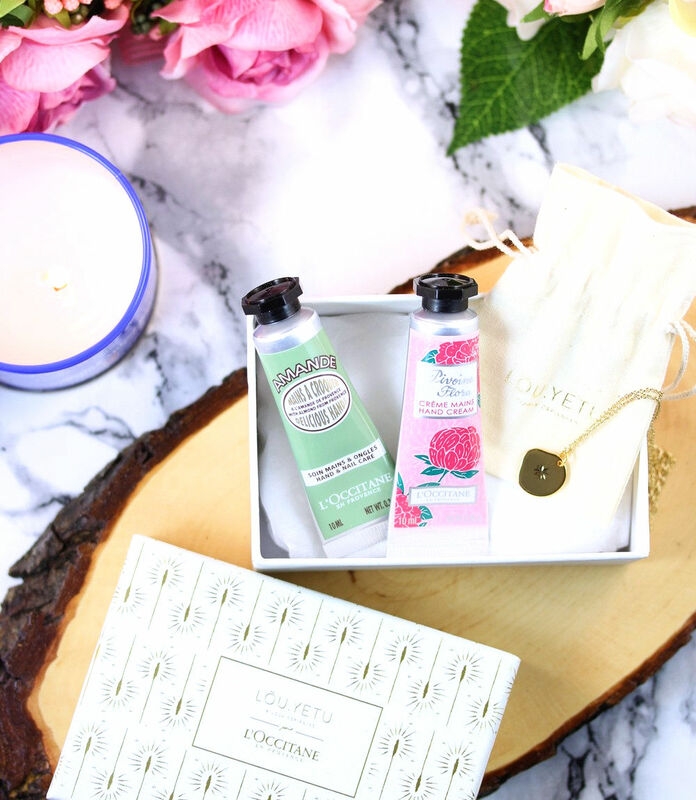 ...and I'm weak when it comes to beautiful packaging so of course, I had to get a couple of things. 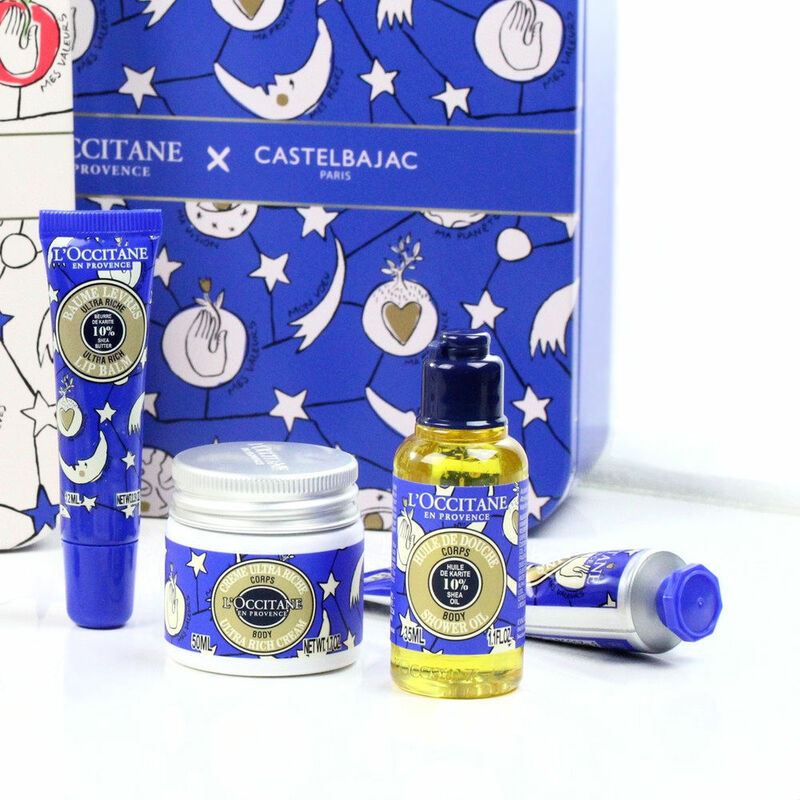 I actually bought yesterday 2 sets (black Friday sales, yay!). 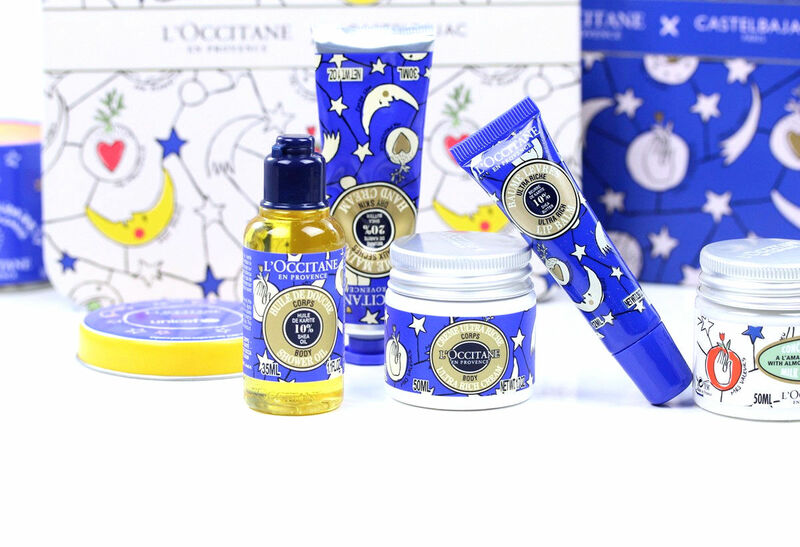 So the first set (the blue one) contains a hand cream (30mL), a shower oil (35mL), an ultra rich body cream (50mL), and an ultra rich lip balm (12mL). 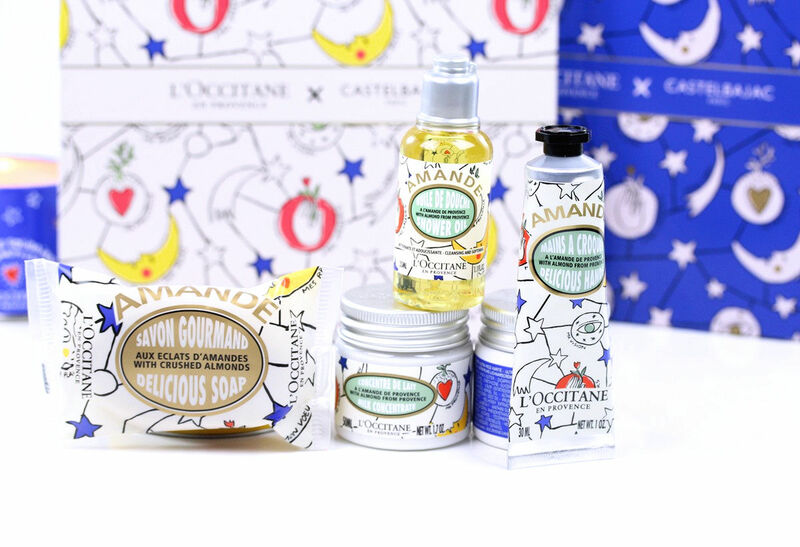 The white set is an almond-based set and it contains a hand cream (30mL), a shower oil (35mL), a milk concentrate body cream (50mL), and an almond soap. Aren't they super cute? 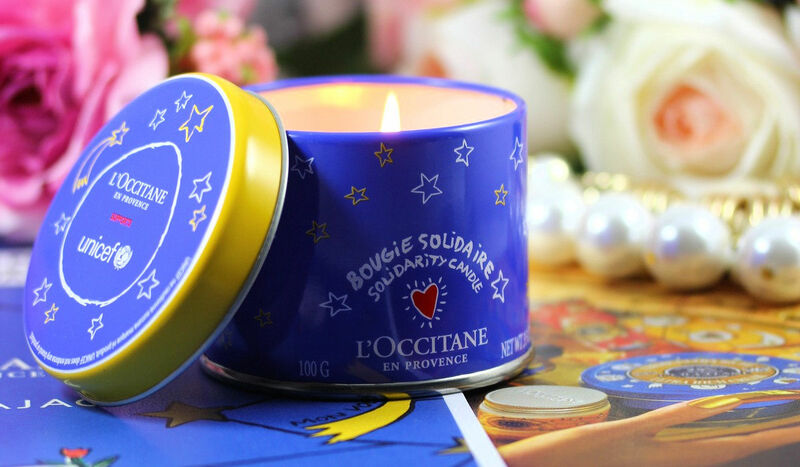 Then I also wanted to show a very important and special to my heart product: L'Occitane Solidarity Candle, a candle in collaboration with UNICEF. 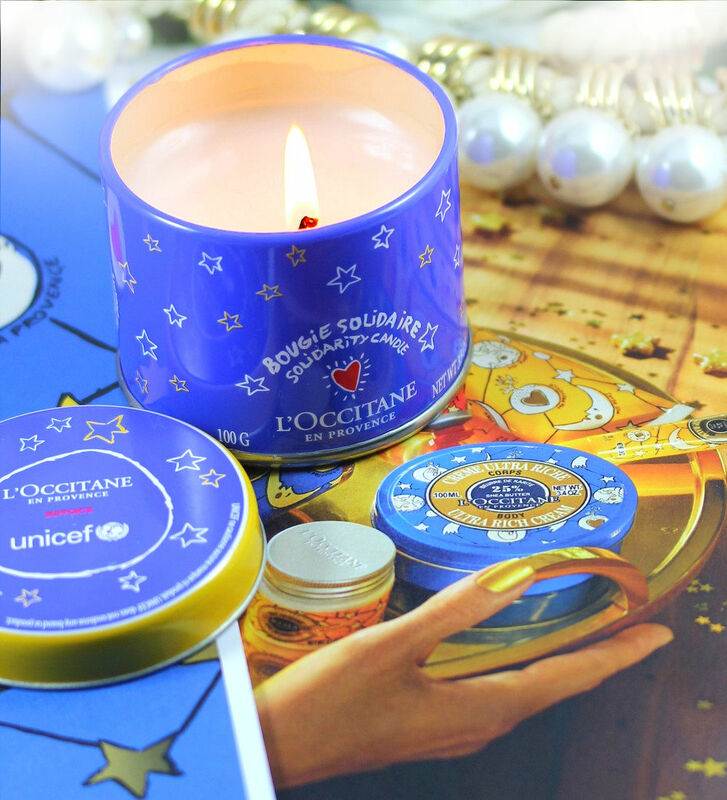 Thanks to the support of LOccitane, 100% of the profits from the sales of this Cherry Blossom fragranced candle will help prevent childhood blindness around the world by supporting UNICEF’s Vitamin A supplementation programmes. 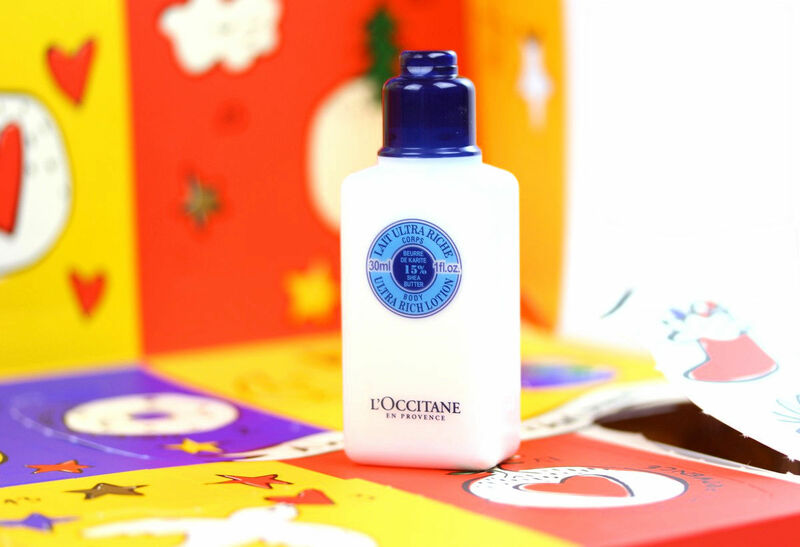 Basically, 1 candle = 1 year of Vitamin A supplementation for 5 children. 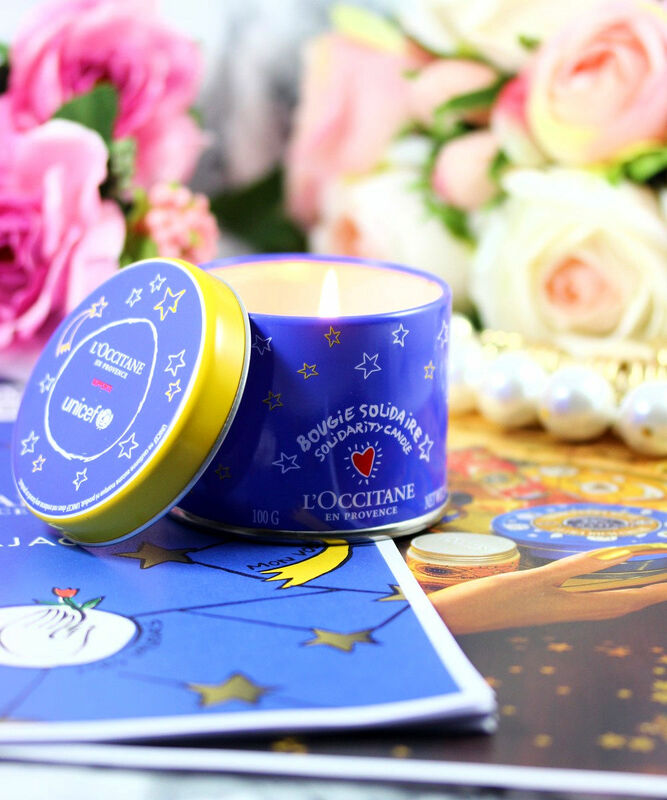 Moreover the scent of the candle is beautiful and it costs only 10CHF. 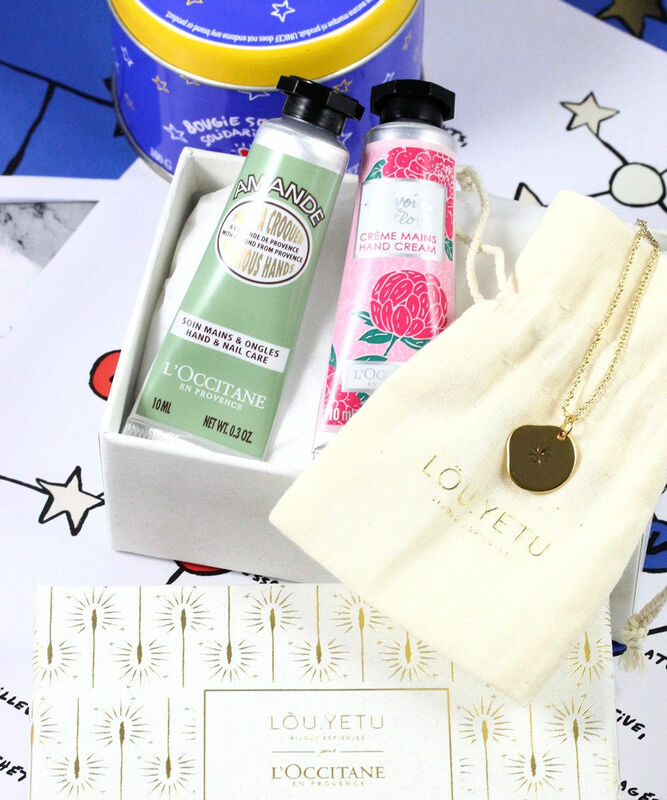 There is also a solidarity soap for 5CHF. 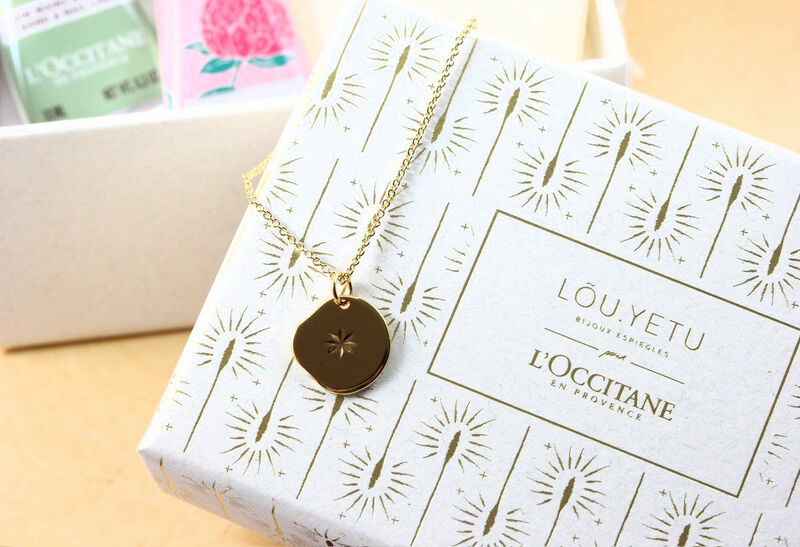 I also wanted to let you know that if you order for 25CHF or more on L'Occitane.ch at the moment if you enter the code "LOUYETU18" at the checkout you will get a beautiful gift (value 17CHF): 2 hand creams and a pendant from Lou Yetu, a French jeweller! 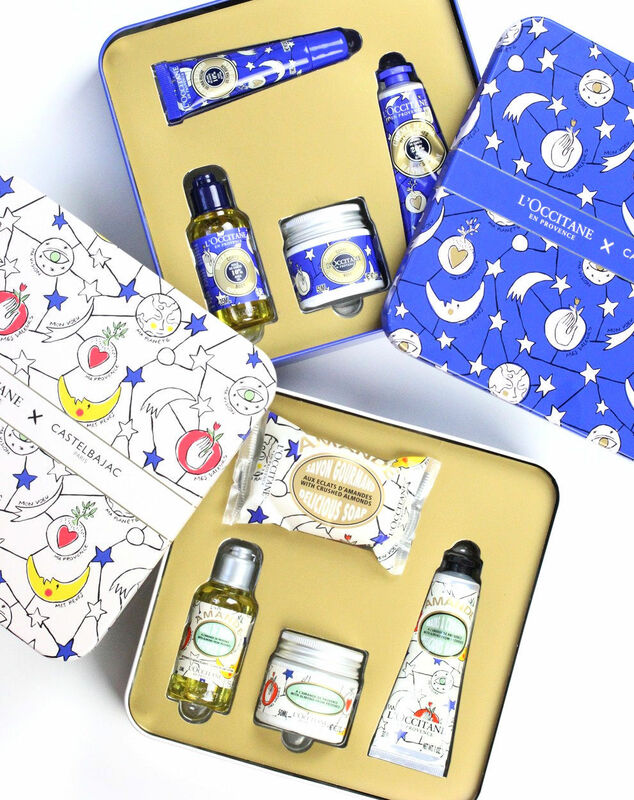 Last but not least, L'Occitane does it again with an Advent Calendar. The design is also from Castelbajac and you get 24 gifts inside, all best sellers from L'Occitane. 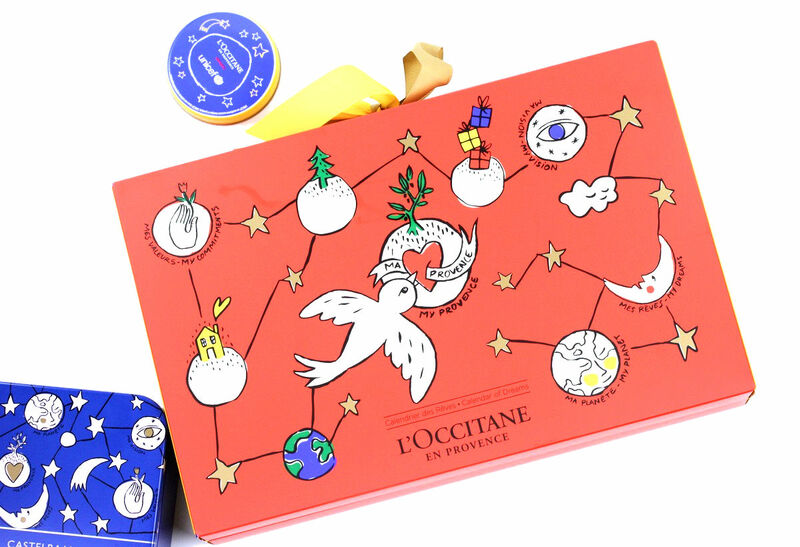 I've also just seen on the website that you can also customize your advent calendar with the mini size products you want among a list! 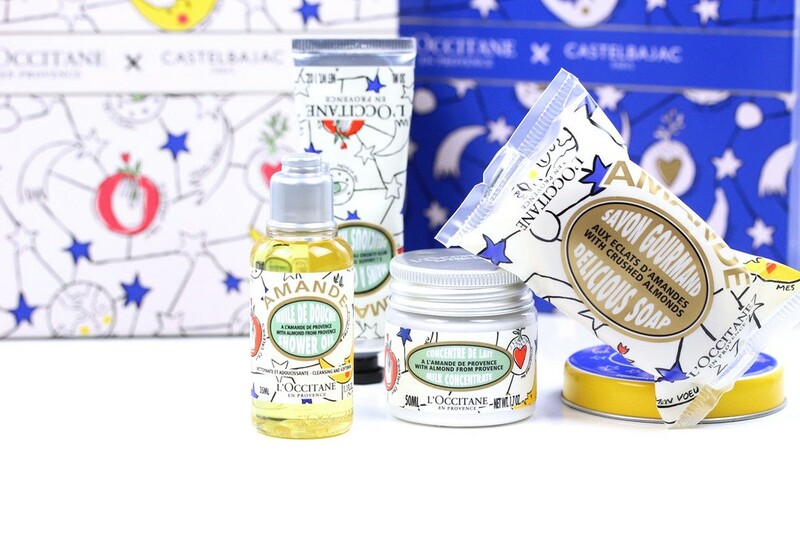 You can check this here!